MAXIMIZE YOUR AUDIO EXPERIENCE WITH SURROUND SOUND SYSTEMS! Of course, a great home theatre needs great screens. That’s a no-brainer! But, what about great audio? A quality theatre experience encompasses both sight and sound (and popcorn!) so both are equally important. A complete sound surround system is the ultimate way to immerse yourself and your friends, and be transported to that ‘other place’. It’s not all about a loudspeaker blaring at you from the front. A truly amazing theatre experience requires excellent speakers positioned all around the room – that way you’ll get the real sensation of the wind in the trees above, a voice calling from behind you, a dog howling in the distance…. 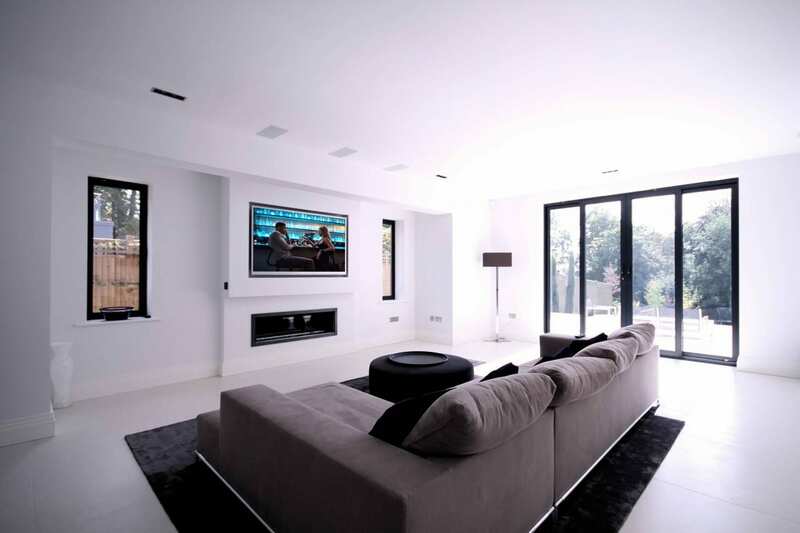 A full sound surround system is the way to create that genuine feel and atmosphere. We all want that experience, yet nobody wants their home theatre to be ugly: cords running from here to there; chunky, unsightly speakers mounted to the walls and ceilings; 101 remotes for this and that….. Welcome the age of the totally automated home theatre! You no longer have to put up with the jumble of wires, speakers, and power cords. The whole audio system can be seamlessly integrated as part of a bigger home audio system, and controlled from one central app. Too good to be true? Well, believe me, my friend, it’s a reality! And your great audio experience doesn’t have to be confined to your home theatre – your favourite music can follow along wherever you are in the home! Your wireless home setup can be simply controlled from your smart device, allowing you that flexibility and freedom you need, 24/7. The team at McCormick Concepts understands sound surround systems. Our technicians are highly skilled and especially trained in designing and fitting systems to suit any home, lifestyle, and budget. Our team has the skill, expertise, and experience to take your home theatre and indeed your whole home audio to the next level – from good to simply surreal! Contact McCormick Concepts today on 1300 795 469 and let’s get this ‘show on the road….’ Our friendly staff will be able to assist you with whatever is needed to allow you to maximise your audio experience at home.